Sometimes Life is Scary Enough! I haven't posted in awhile. Life has turned upside down and backward. In just a few weeks my youngest is graduating from high school, and I am losing the teaching assistant job I've had for a few years. Not long after that my oldest daughter is getting married, I am starting a new career teaching fourth grade, and I will be an empty nester as everyone leaves. To say I'm a little stressed out is an understatement. The reason why we tell scary stories is because sometimes it's easier to tell stories about vampires and monsters and ghosts and things that aren't real than to deal with the real terrors of daily life! I'm thinking ghosts are easier than planning a wedding! I am THAT Aunt that gives books at birthdays and Christmas. This makes me fairly unpopular when it comes to gift giving occasions. Last year, my opened the birthday present I got him, and his face fell in disappointment as it was JUST books. I’m not worried about it, because I overheard this very same nephew at Christmas looking over the books that I got him and saying, “These are really cool books.” I have no regrets, and I don’t plan on changing things. For those of you who believe in giving books, or who want to start a new tradition, I am here to help. This last year has been amazing in terms of writing. Not only did I get my first short story published, but many of my friends, who always dreamed of becoming writers, began fulfilling those dreams. Not only that, but writing has led me to an association with many other amazing local authors, everyone trying to succeed in the publishing business. Over the next few posts, I am going to make a few book recommendations from local Utah authors who are all dealing with the publishing business and struggling to get their work noticed. These are books that I personally liked and would recommend to others to read. Most of these are books for adults, but I will make suggestions for young people as well. To start, for the young girl in your life, I have a wonderful recommendation! 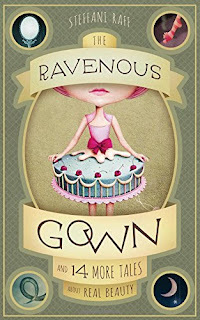 The Ravenous Gown: And 14 More Tales about Real Beauty by Steffani Raff. Steffani is a fellow storyteller. I have seen her perform telling stories at various events, and she is an excellent performer. She creates amazing modern folk tales and fairy tales, then tells them to a captivated audience. Here, she has created original fairy tales all about what it means to be beautiful. The stories are delightful. The princesses are smart and strong, and learn a thing or two about what it really means to be beautiful. Princes also learn about beauty, and show us that even a prince can struggle with body image. In this day of negative body image, and dangerous media messages about what is beautiful, these are stories that entertain and teach messages that counteract those negative messages. It is a must read for any girl over the age of eight. Halloween is Over...Time to Tell Ghost Stories! Christmas is the time to tell ghost stories! At least, it was in Victorian England. It makes sense. There was no Halloween, it was dark earlier, it was very cold, so people weren't out and about. There was no television, or radio, and as the family gathered around the fire in the evenings after dinner, it makes sense that it was the time to tell ghost stories. Charles Dickens gets much of the credit for continuing the Christmas ghost story tradition. 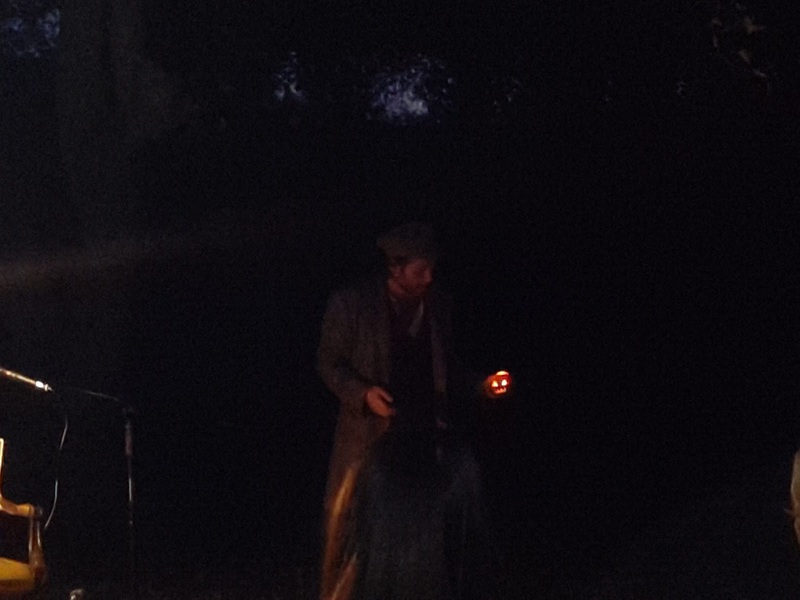 He managed to tell a ghost story, and bring in the warm spirit of Christmas both at once with A Christmas Carol. That wasn't his only ghost story, and it was only one example of his love of ghost stories. Every year he would release a periodical at Christmastime featuring ghost stories contributed by several writers. There was a bittersweet moment at the end of the evening on Halloween, where I didn't want to say goodbye to the spooky holiday. As I look to the upcoming Thanksgiving and Christmas traditions, I think it's time to resurrect the Victorian tradition of telling ghost stories! It's a tradition that should never be allowed to go out of style. The Xchyler Publishing Blog Tour continues today with author A.F. Stewart. A.F. Stewart was born and raised in Nova Scotia, Canada, and still calls it home. The youngest in a family of seven children, she has always had an overly creative mind and an active imagination. She is fond of good books (especially science ficton/fantasy), action movies, sword collecting, and oil painting. 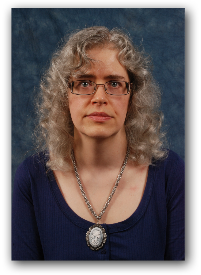 Ms. Stewart is an indie author with several published novellas and short story collections in the dark fantasy and horror genres, with a few side trips into poetry and non-fiction. She has a great interest in history and mythology, often working themes into her books and stories. Her story is "The Weeping Lady". Eva Douglas must face her mother issues, past and present, when the disappearance of her sister forces a confrontation with a terrifying ghost. Not to give too much away here, but Stewart makes use of her love of history and mythology when she uses a familiar ghost story in folklore to build this unique story. I really enjoyed it, and you will too! 1. How did you come up with the concept of your story? I’ve always loved ghost stories, so that’s what I decided on when I went to write my paranormal tale. And since the submission theme of the Beyond the Wail anthology was “Losers Weepers”, the the La Llorona, or “The Weeping Woman” ghost story seemed an ideal place to start. I also threw in some inspiration from the eerie tales of the “White Lady”, an oft repeated ghost phenomenon. I tweaked a few details of the original tale, added some family drama, and I had a story. The title was simple, I combined the names of the two ghost legends. I put “Weeping Woman” and “White Lady” together, and viola, I had The Weeping Lady. 3. What is your preferred writing genre? I love writing fantasy, preferably darker tales bordering on horror. The Weeping Lady is actually tamer and slightly more upbeat than much of what I write. Although, it is still rather dark. 4. Who is your favorite author? Who has most influenced your work? I have two favourite authors, Neil Gaiman and Guy Gavriel Kay. They are both exquisite writers and masters of storytelling. I adore their work and refuse to choose just one. My biggest influence, though, is Ray Bradbury. His short stories warped my little child brain and imprinted the love of the written word on my grey cells forever. I have several stories in the submission process for anthologies, including one for the charity anthology, Christmas Lites V. Plus, I have two novels in various stages of creation, a steampunk adventure book, called Racing the Hellfire Club, and a fantasy novel, The Prophecy of Seven. And there’s always a chance of another poetry book showing up in the near future. Both. And yes, you can love both. Neither. Not a big YA fan. James Bond or Jack Ryan? Jack Ryan, definitely. I’m a big Tom Clancy fan. Sherlock: Robert Downey, Jr. or Benedict Cumberbatch? As much as I adore Robert Downey, Jr., Benedict Cumberbatch has the edge in the Sherlock department. Spock: Leonard Nimoy or Zachary Quinto? Probably the Avengers, but it’s a tight race. I love them both, although Pinky and the Brain have top spot in my heart. Harry Potter or Pirates of the Caribbean? Pirates, of course. Pass the rum, boys. Neither. I’d rather listen to The Doors. Peter Jackson or James Cameron? Peter Jackson. I was a fan before LOTR. Steven Spielberg or George Lucas? Lucas, but that’s just because of the original Star Wars trilogy. Probably Vampires, but I like them both. Neither really, but I’ve always wanted to LARP. VERY important, make sure you enter our rafflecopter contest! Each one of these prizes is specific to the stories, and there are some pretty cool ones. We're also giving away free books! Don't miss out! I am thrilled to announce the release of my very first published story! 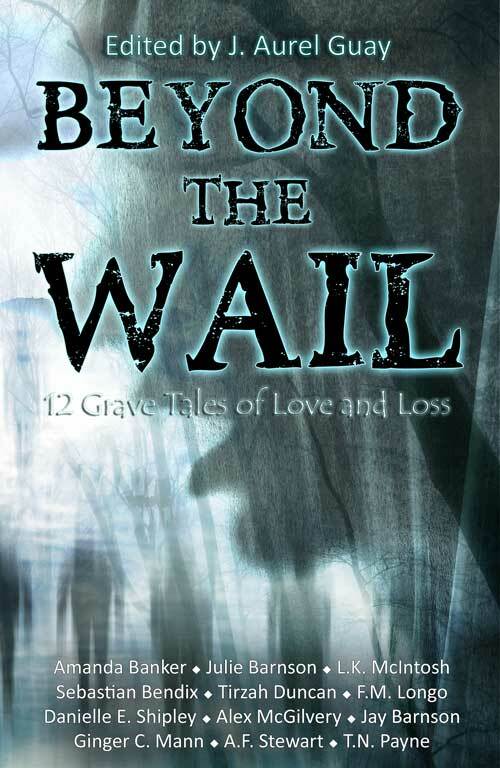 I am featured in the paranormal anthology Beyond the Wail along with my husband, Jay and ten other writers! This was a contest hosted by Xchyler Publishing and I decided to write something- since ghost stories are my thing! To my amazement, they liked my story, and it has been amazing working with writers and editors. I have learned so much, and it has been a lot of fun! My story is called Go Gentle. It's the story of a young musician who uses a magic violin to stop a string of fatal accidents on a lonely mountain road. I did a lot of research for this to weave in folklore on violins. It's a ghost story that talks about love and letting go. SO! Check it out, buy the book, read the book, PLEASE review the book! There's going to be an AMAZING blog tour involved with this release! Check the schedule and visit the blogs of all the authors. There will be a new giveaway every day, and you can win some pretty cool prizes- including my ghost story cd! Here's the blog tour schedule. Make sure you enter the contest to win today's prize! 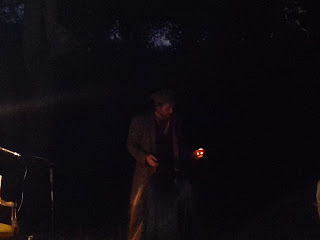 On October first, I got dressed up in my favorite gothic black costume, and joined my husband in a drive up the canyon to the first Halloween event of the season: Ghost Stories in the Gloaming. This was an event planned by Alan Macfarlane, who loves ghost stories with a passion, so much, in fact, that he decided to form a facebook group and plan an annual event where people could come and just share ghost stories. It was held at a very nice outdoor pavilion which was decorated with electric candles, black ribbons and feathers, skeletons, and baby doll heads. It was both elegant and creepy in my favorite kind of way. Food was set out for snacking- bags of popcorn and candy, and beautifully decorated donuts on platters. Other guests brought things to add to the pile. There was water and hot chocolate served in black cups. As twilight or the “gloaming” descended, the stories began. There was a lovely set up with light sources and sound systems. Stories were read or told. Two stories were original pieces, read aloud. They were good choices. One storyteller told an Irish tale about Stingy Jack, the origin of the jack-o-lantern stories. Some of my favorite classics were shared, The Cremation of Sam McGee, and H.P. Lovecraft’s The Outsider. I was the final performer, which was quite the honor. I told the “Room in the Tower” by E.F. Benson. It’s a vampire story with a lovely creepy moment at the end. By this time it was really dark, and everybody had spent the last couple of hours absorbing ghost story after ghost story. They were ready for a good shiver to send them home. I think I succeeded. The hosts of the event were so kind. They prepared well, and threw a classy party. This is exactly my favorite thing for Halloween. To get together and tell scary stories. It beats out the horror movies, the haunted houses, the parties with games and music, all of it. Just a quiet time where we can all get together and tell stories that make us look over our shoulders as we walk to the car in the darkness. Maybe check the back seat of the car very carefully to make sure that nothing is lurking behind us. There’s nothing better. For more information, join the Ghost Story Group on Facebook. This is Brian telling the story of Stingy Jack- complete with Jack-o-lantern carved turnip! A friend once described the way I decorate for Halloween. She said, “Julie decorates for Halloween the way most people decorate for Christmas. And she decorates for Christmas the way nobody does.” I love to transform my entire house into a Halloween haven. Every room gets some treatment, even down to the hand soap in the guest bathroom. Now that it’s just a few days until October, however, I find myself reluctant to open up those boxes. I’m not ready to decorate. I think the biggest reason for this reluctance is that it’s 85 degrees outside. This is summer weather. It has been a beautiful September, and no, I am not complaining about the temperature at all, but it doesn’t FEEL like fall. When I mentioned this to my husband, he reminded me that this is Utah. It will be summer weather until there is a sudden cool down. We will have fall for two weeks, and then it will be winter. I don’t want winter. If the weather wants to stay in the 80s through October, then I will not complain. It just doesn’t feel like the time to decorate. Another reason is that it’s been a busy September! We’ve had events and activities every week. It has not been the settling down into a school routine that I expected it to be. We just finished up a fun and frenzied weekend at Salt Lake Comic Con, and the idea of starting my month of spooky ghost story events in just a few short days seems very abrupt. Not to fear. This morning as I drove to work I noticed there were trees who had leaves falling, even in the hot temperatures. I made sure to crunch through them as I went walking with my friend this afternoon. I’m going to put on my spooky music, and carefully open one or two of the many boxes of Halloween decor. It’s still a few days away, but if I put up something here, and something there, I’ll be ready.